I'll just let the link speak for itself. But why?, Islam is a religion of peace?..i don't understand this at all...must be because of the IRA or something..
Cuzcatlan, dissolved and Blackened like this. Those guns look just like weapons of war. Blackened and Scrody like this. And here comes the police state and there goes your way of life all because some bloke Mahimud Tumbong thought he is cool if he has 1077866788 wives and eats children for breakfast. glennrod, dissolved and Blackened like this. AgonyandIrony and Leroy Jenkins like this. They put on a nice show, but the reality is that if a terrorist group manages to mount an attack on the level of Paris, they will be lucky to keep the body count below three figures. Also, the "new" unit has been recruited from serving police officers. 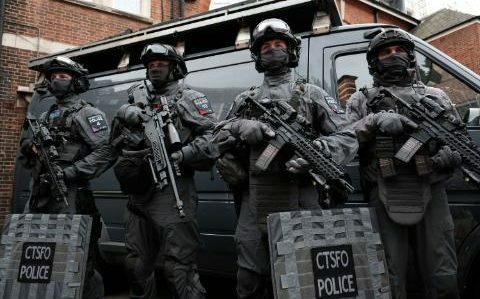 The number of armed officers has increased. The number of actual police officers remains the same. Finally, the new unit only operates in London. All terrorists have to do is attack another major city that has less resources to respond to an attack. glennrod, Andretti, ShinkanPo and 2 others like this. Snake_Plissken, Cuzcatlan, Andretti and 3 others like this. wtf you motherfuckers never had Swat ? seeing them in action is some serious popcorn time. The hood would come out just to see them storm a house or apartment. 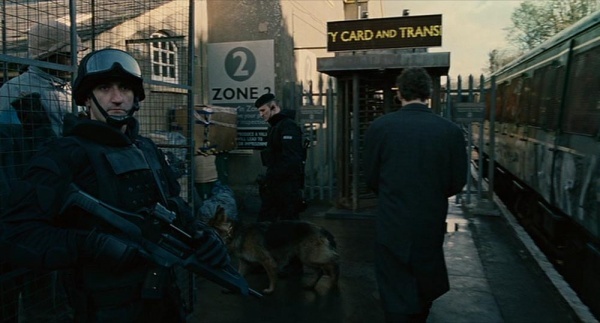 Anyone know what kind of riot shields these are? looks interesting .large caliber resistant? HockeyBjj and Leroy Jenkins like this. You really think it will take ten years? What, the Isrealis are going to bomb Europe as well ? slivercord and VivaRevolution like this. Timing couldn't be better sadly. What movie is the first photo from? So glad I live in America. Glad to see the U.K. is waking up.